We all want to Bike All The Way. But if the trail is out of town and if there is a bike event/race that is quite far, we need to load up the bike and bring it using a bike rack. What is better; roof rack or rear rack? We shall give you the lowdown on bike racks for sedans. One of the premier bike rack brands in the market today is Thule. It has been around since 1962, so they probably know what they are doing. If you look at their line of products, you’d be impressed with their collection of racks, carriers and other helpful items. They have branched out to other outdoor activities to carry on with your vehicle so their research and development have been at it since day one. When I started biking, I have seen Thule as one of those essentials when carrying your bike. I have dreamed of having a roof rack for my car, but it is quite pricey. So I purchased a rear bike rack instead. 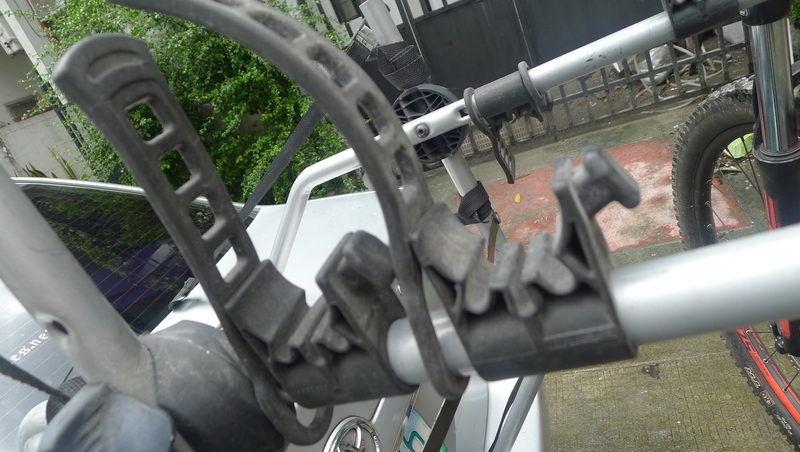 A close bike buddy was migrating to another country and he sold his Thule Rear bike rack to me. The model is a Thule Freeway 968. It can carry up to three bikes and it works like a charm. It is easy to mount, easy to remove and easy to use. I have absolutely no complain about it. I believe it is the best bike carrier for any sedan. It has a load capacity of 45 kilograms. When you want it removed from the car, just pop the trunk of the car, loosen the straps and it is out! The challenge for the Thule Freeway is when you have full suspension mountain bikes. Each bike has a different geometry and shape so the rear suspension might get in the way of the mounting bar. But if you are just loading road bikes and hardtails on your car, no problemo! 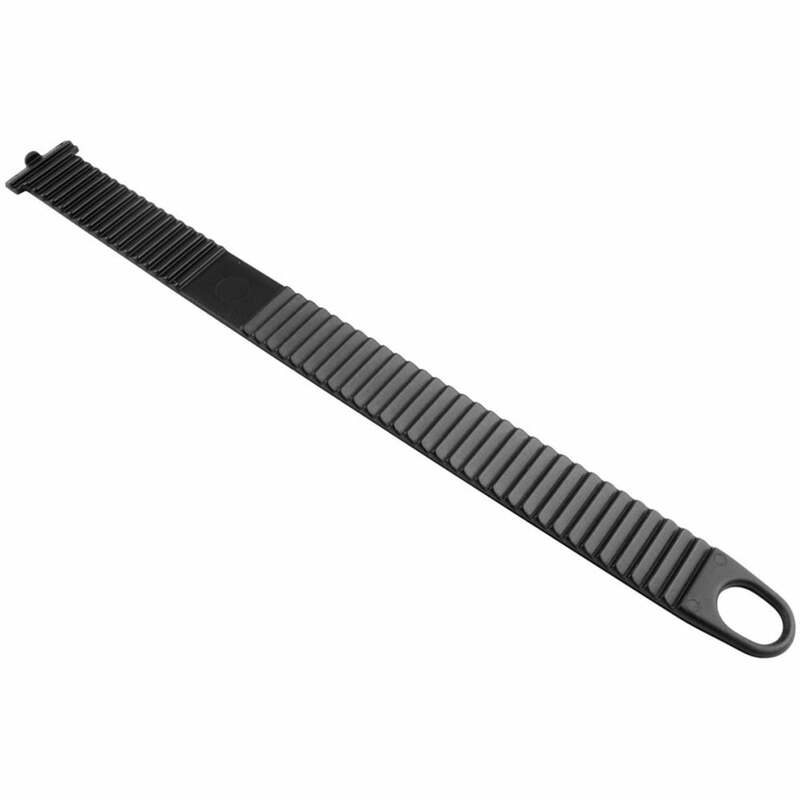 The straps are made of thick rubber which is sturdy and they don’t easily break. You just have to take care of the rubber and not expose it to too much rain and sunlight so as not to make it brittle (I will tell you later why). Compared to other straps of other brands in the market, the Thule rubber straps are quite nice and it is of good quality. My friends have broken their straps (from Hollywood and BnB) and it’s quite a dilemma when you break these strap holders. They use heavy duty zip ties and other stretchable straps to replace these bike holders. But for the Thule Freeway, they are all goooood! The roof rack instantly makes any car look good. In my personal opinion, any stock car placed with a roof rack with bike carrier instantly makes the car better than any average car. It is like adding a truly functional accesory to the car, making it look fabulous. It is more appealing than slapping on aftermarket wheels on your vehicle. The roof rack is function plus aesthetics combined. Roof racks for cars are more practical than roof racks for Sport Utility vehicles because cars are lower and the top load is easier to reach. If you have a roof rack for SUV, it would be more difficult to reach and you need a ladder to access whatever you shall place on the roof. Bike roof racks have variations, you can place the bike mounted on both wheels, or the version I used: the fork and the rear wheel is mounted. 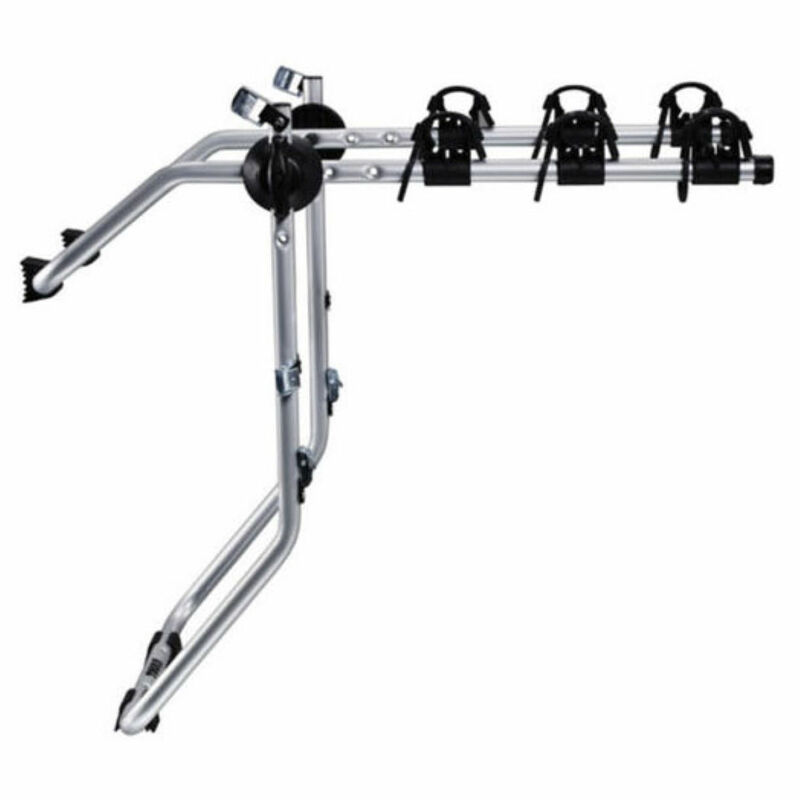 The fork mounted rack is more stable because you can go high speed and still feel confident with your load not getting dislodged (plus it has lower center of gravity). I was given the honor to use the Thule OutRide 561 roof bike rack. 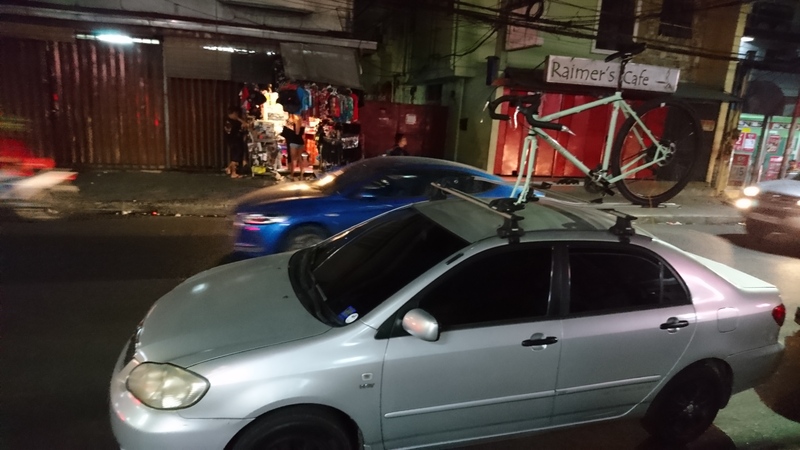 I had a friend who sold his Lancer equipped with the Thule set and he let me borrow the roof rack with Aero bars. This is the latest roof rack technology from Thule. They still have the square bars, but these aero bars are a thing of the future. Mounting the roof rack was quite easy, you just have to measure the mounting spots (to make sure that they are placed equally) and make sure that the clamps are placed right. 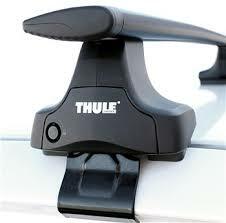 It comes with a one-key system so the Thule Rapid system can only be accessed with the holder of the one-key. Once everything is safe and stable, nothing can shake it off. It is as though the rack and car is one. One sad note that happened to the roof rack — the wheel strap broke. Too much rain and sunlight made the rubber brittle and break. Lesson learned: Take off the rubber straps until you need to use them on the bike. You can keep them in a small Thule bag which you can just stash in the trunk of the car. Going fast with mounted bikes on the roof? No problem. There is greater drag and resistance due to the bikes, but everything’s safe and secure. For fork mounting, there are 15mm thru axle, the standard 12mm and my friend even has the 20mm fork mount. Depends on your friend’s fork, you can mount them all in the Outride. End of the day, the preference is still yours. I can only tell you about my experience on these racks. Believe me, or not… each has their own opinion on stuff. I listed down the positives and negatives on each. But some outweigh others so you be the judge of your own self battle. 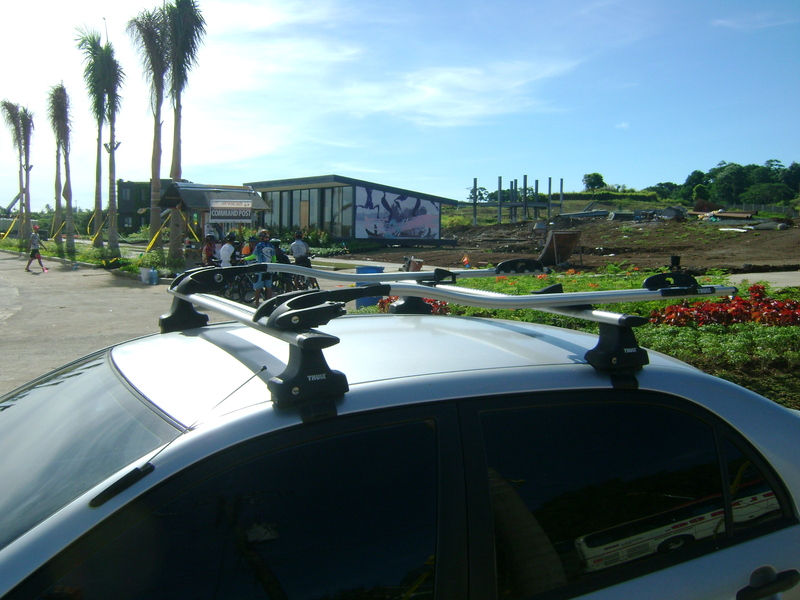 Roof rack pogi car. Good looks on the roof always there. Mark of a true biker. Roof rack more than a sticker, it screams that you are abiker. strap, easy to break. In a nutshell, it is still the user’s preference on going top or doing it from behind. What I recommend is this: GET A GOOD QUALITY BIKE RACK. You don’t want your straps broken. This will endanger your bike and other people on the road as well. Be sure to mount your bike well and double check (nay, triple check) before you move. Ride safe!